GossipWeLove | Pop Culture and Entertainment News Site: George Zimmerman CLEARED OF ALL CHARGES In Shooting of Trayvon Martin! 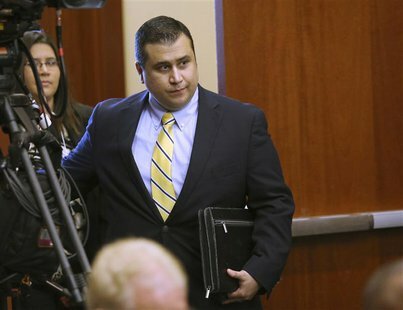 George Zimmerman CLEARED OF ALL CHARGES In Shooting of Trayvon Martin! On Saturday, 29 year-old neighborhood-watchman George Zimmerman was found not guilty in the shooting of unarmed teen Trayvon Martin whose killing unleashed furious debate across the United States over racial profiling, self-defense and equal justice. Zimmerman, who could have been convicted of second-degree murder or manslaughter, reportedly blinked and barely smiled when the verdict was announced in a Florida courtroom. Xfinity reports, "the jury of six women, all but one of them white, reached a verdict of not guilty after deliberating well into the night. Their names have not been made public, and they declined to speak to the media." Despite the racially charged nature of the case, race was barely mentioned at the trial. Even after the verdict, prosecutors said the case was not about race. Plus, the jurors had to sort out clashing testimony from 56 witnesses in all, including police, neighbors, friends and family members before making their final decision.